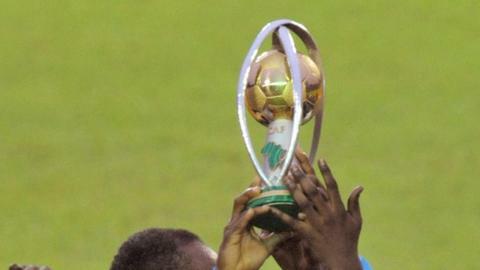 Ivory Coast and Cameroon booked their places at next year's African Nations Championship after coming through their qualifiers at the weekend. The Ivorians beat Ghana 1-0 in the second leg of their tie to win on away goals after a 2-2 aggregate draw. Boua Koffi scored the crucial goal for the Elephants on 33 minutes. Cameroon went through after Ronald Ngah scored the only goal of their tie with Congo Brazzaville in the 72nd minute of the second leg. The pair's qualification completes the line-up for the tournament in Rwanda, which will be played between 16 January and 7 February. Angola, Democratic Republic of Congo, Ethiopia, Gabon, Guinea, Mali, Morocco, Niger, Nigeria, Tunisia, Uganda, Zambia and Zimbabwe are the other qualifiers.